After the break, two more videos showing benchmarks and demonstrations of apps. Forbrydelsen is a lesson in the power of word of mouth. That series aired in 2007. I didn’t hear about it until just last year. Buzz that stayed alive for four years! Thanks to everyone who ignored the law and shared the first season with subtitles. And thanks to everyone who ignored the law and shared the second season. And thanks to broadcaster DR-1 for coming to its senses and dropping the geo-restricting of its weekly post-broadcast stream. You made a lot of people happy. And I hope it pays off for you in future profits. 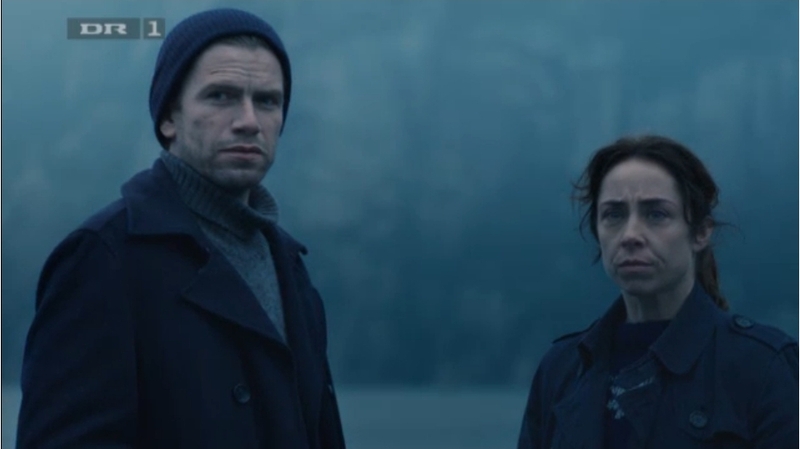 Thanks to everyone involved in all the productions, from creator Søren Sveistrup, his stable of writers and directors and actors, to Sofie Gråbøl for her great, compelling, magnetic portrayal of Lund. Thanks to IceHunter and samtasam and their friends for the English subtitles of the third series. Not to sound like an ingrate, but we’re all still waiting for episodes 9 and 10. 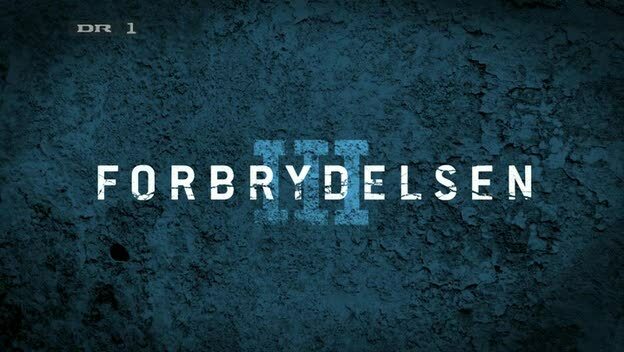 And thanks to all the readers who came here to read about Forbydelsen, discuss the series, and provide links to subtitles. Even though it’s finished in Denmark, I can still look forward to few more weeks of Frans Bak’s “Montage” music, via BBC Four. Thanks to him too. Non-spoiler screensnaps after the break. 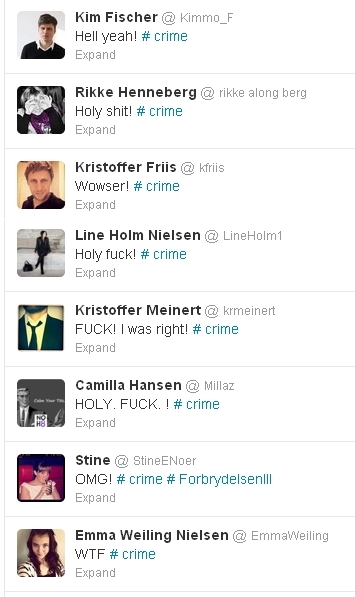 Having monitored the tweets out of Denmark, let me say that I honestly have no idea about what happened in most of it! Police caught up with Perry at his home in Springfield. He had his 51 inch T.V. with him. It’s time to ban Black Friday. Search engines are your friend. 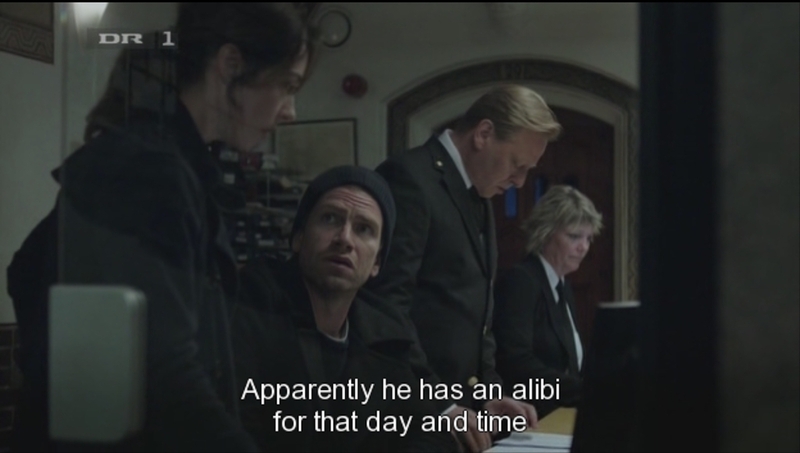 Saturday December 8, 2012 update: According to Comments, episode 10 subtitles in English are now available at Addic7ed. I haven’t tried them, but I did peek at them as text files. Some minor differences, mainly with line lengths. I will be un-Sticking this post by Tuesday. BBC Four airs the final two episodes on the 15th. This post will be updated before then, when the filenames for episodes 7 and 8 (which aired today) are available. I’ll do a new separate post with the filenames for episodes 9 and 10. Much thanks to Samtasam and others who contributed to the episode 8 SRT file. I hate it when people mislead me, shade the truth, reveal information that seems to contradict what they said earlier. In short, I hate being jerked around. But I love it when this series does that to me! Note that viewers of the BBC Four broadcast should not go past the break until they have seen this episode! A post for those who think I never admit being wrong (they are wrong in that too!). iDissent: I Think Gotta Be Mobile Is Wrong: I was wrong. 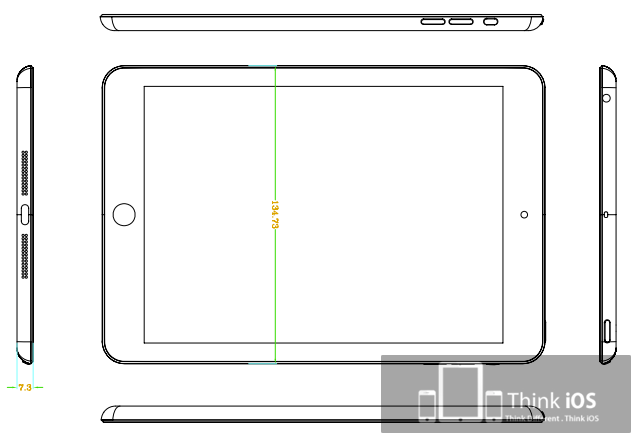 That 3D sample seems to match the iPad Mini that was released. iPad Mini: I Still Say FAKE! : I was right to be skeptical. See upcoming item. Photos: More iPad Mini Size Comparisons: Wrong. In my defense, I was using a paper template from another site. 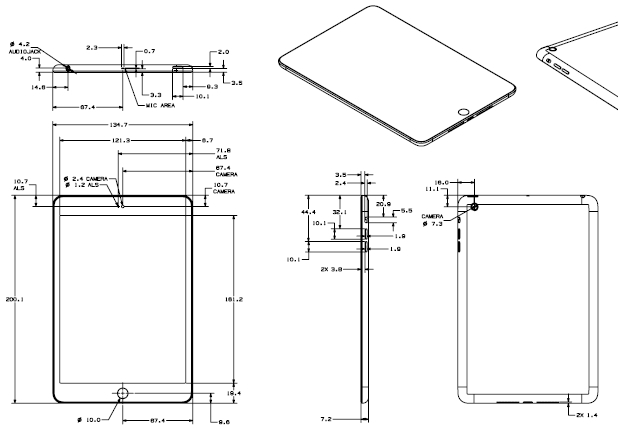 Velocity Micro’s iPad Mini Pre-Clone: The screen resolution matches, but nothing else. I disbelieved the smaller side bezels because I just couldn’t envision how light the iPad Mini would actually be.